Rent Storage Units Online Hassle Free. Call us to set up an appointment or conveniently rent your storage unit online now! 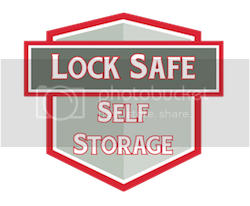 Why Rent Self Storage From Lock Safe Self Storage? Our website makes renting storage units easy and convenient. Simply reserve your storage unit and make your payment online. Peace of mind comes with our safe and dry storage rental units, available in a wide variety of sizes, that allow you 24-hour access to your belongings. When you rent a storage unit from us, you will see that we offer an exceptional value at a great price. We have a wide variety of storage unit sizes available to rent. We make sure we can meet any storage need you may have. An accredited storage facility company with over 28 years of building engineering experience was hired to build our NEW state-of-the-art Lock Safe Self Storage Facility in Independence, Iowa. Our storage facility is built with Drip X condensation barrier in the roof, plastic underneath the concrete, and a concrete lip on the edge of the storage unit doors. These features help to keep water and debris out of the storage units. Our units are safe, dry, and come in various sizes to choose from. Plus, you have the convenience of 24-hour access to your belongings. We take the security of your data seriously. As such, we ensure that our website has an approved SSL in place and your information is securely encrypted to protect your data when renting and making your payments online. Our friendly and helpful employees are committed to providing you with a clean, ready-to-rent storage unit. Call us to set up an appointment or conveniently rent your storage unit online now! You'll have convenient drive-up access to your storage unit 24 hours a day, 7 days a week, 365 days a year!